And what's in Harajuku? It's full of Kawaii and unique shops for sure! 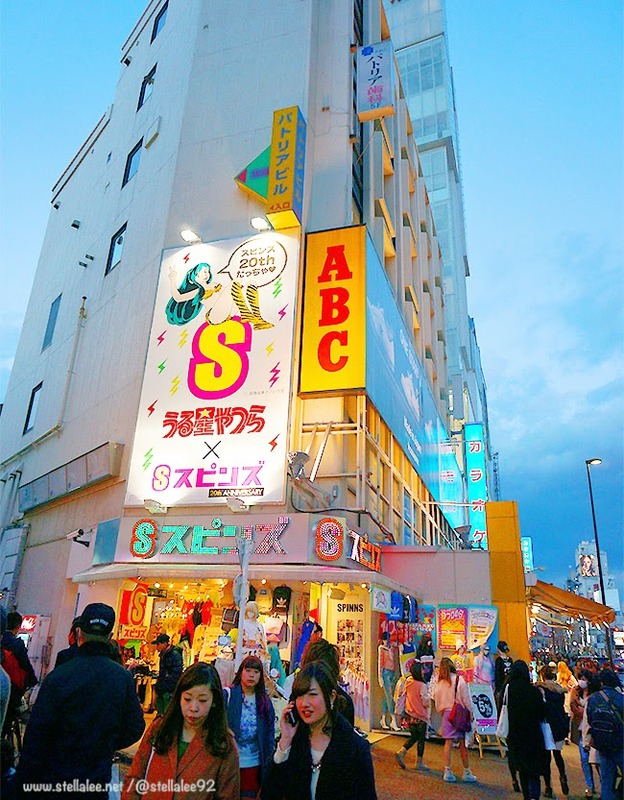 One shop that caught my interest is Spinns『スピンズ』! 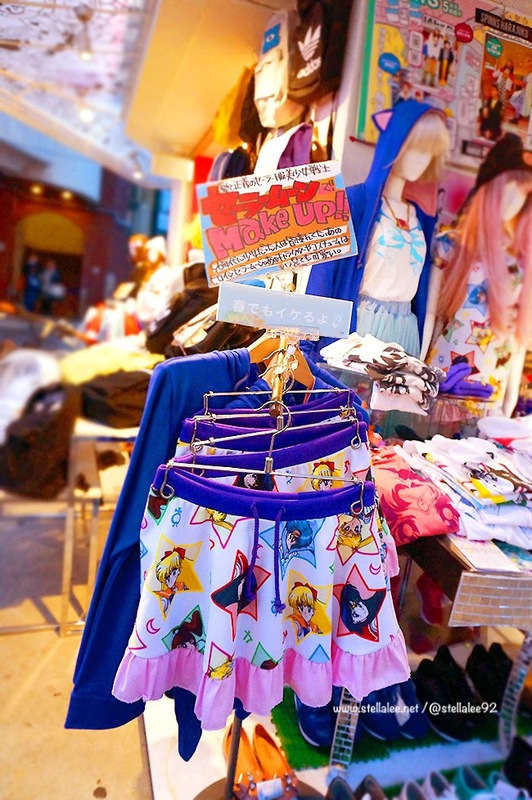 I often walk pass this store whenever I visit Harajuku and they always come up with new and updated kawaii clothes very fast. 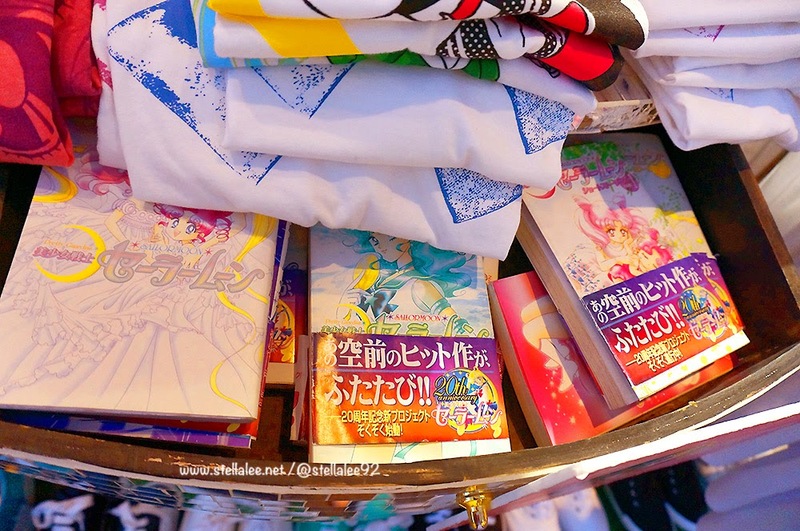 And this time they sell their collaboration with my favourite childhood shoujo manga, Sailor Moon! It's the 20th Anniversary of Sailor Moon and I grew up reading and watching this anime! I had a dream to become sailor moon and Usagi was my hero! Now as I grew up and on my early 20's age, I have grown up but my love and memory is still very vivid. 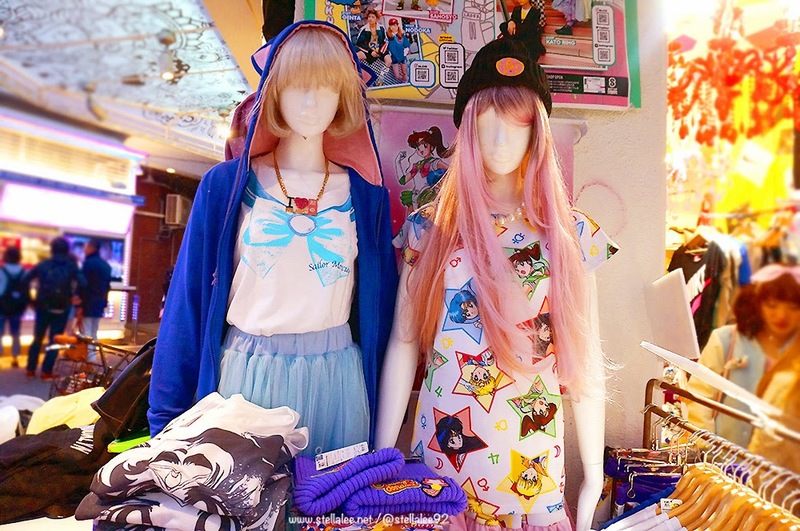 Noticing that potential, Sailor Moon comes up with this fashion collection that is wearable for people around my age who grew up wanting to be one! 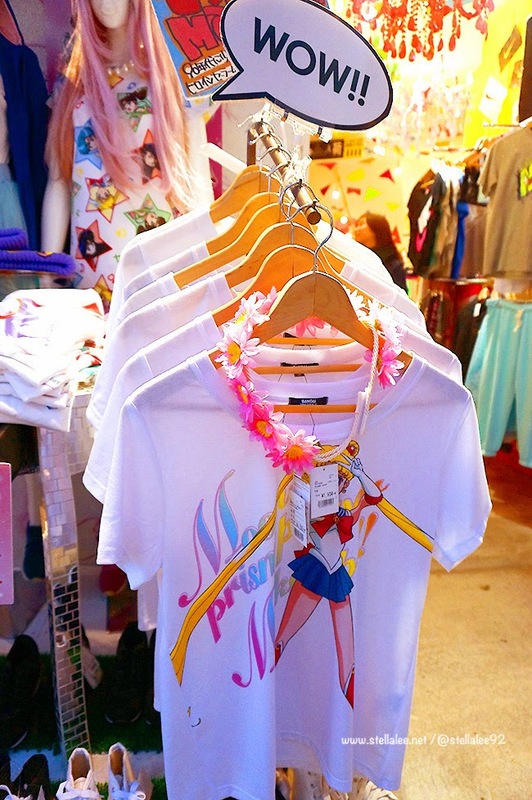 Official Sailor Moon T-Shirt that comes in many designs! Kawaii and Unique Dresses that's wearable yet still make people turn the head to see your amazing outfit. I love the T-Shirt and blue tutu skirt coordination! 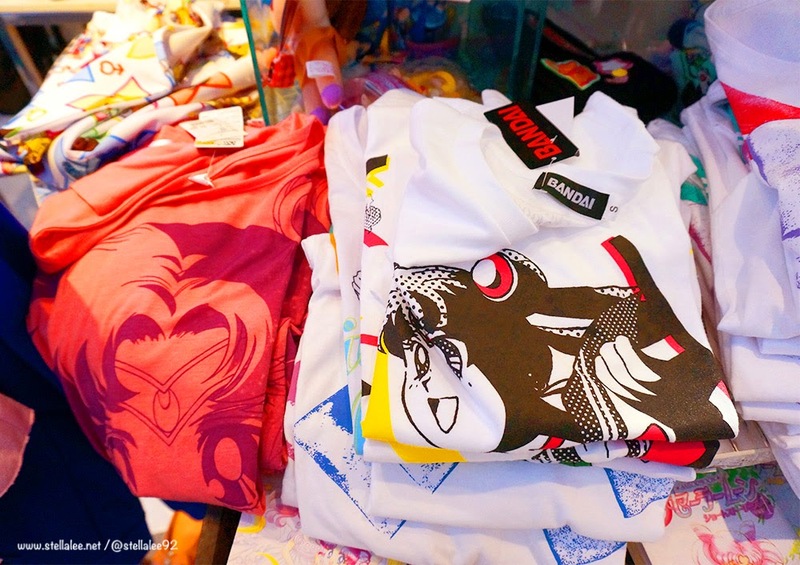 Tons of T-Shirts to choose from! Who's your favourite Sailor Moon Characters? 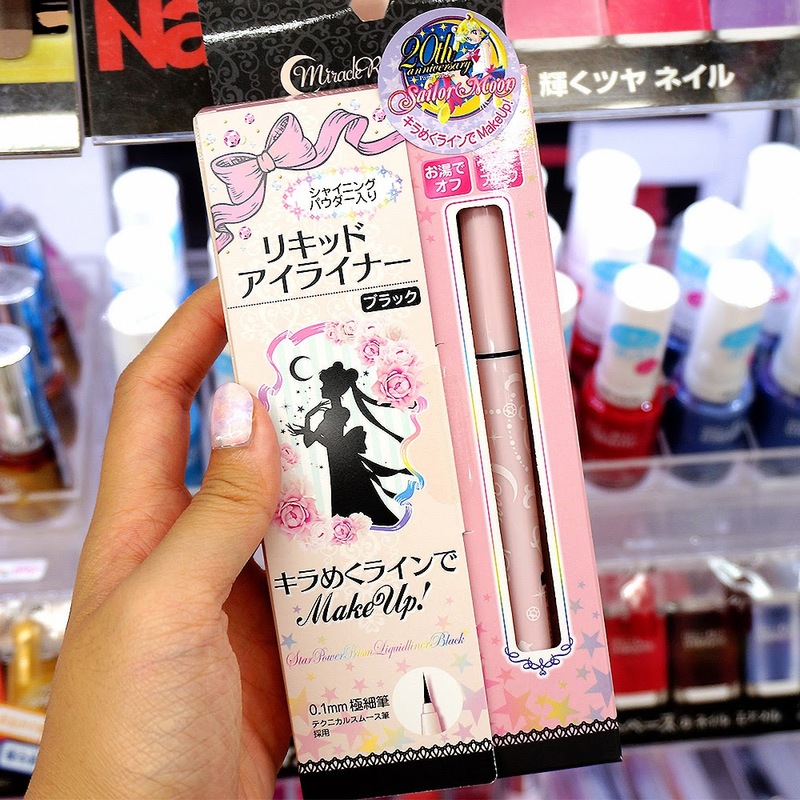 Not related to the shop, but I also found Sailor Moon Black Liquid Eyeliner in Matsumoto Kiyoshi - Shibuya! I guess now it's time for this Moon Princess to make a come back after years of hiatus? wow japan is the best of the best. buy everything I need to buy everything shown in these photos. This is too cute! ahaha. Lovely post. The things I really love is all the new Makeup line!! They all look pretty! that beanie looks so cute? ?or that isn't a beanie?the purple thingy on the 4th photo? 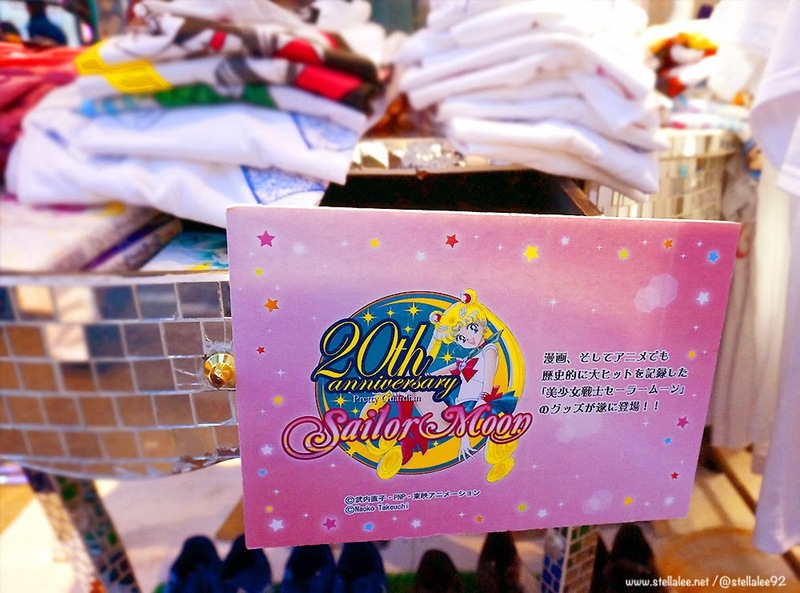 Oh wow, can't believe Sailor Moon is 20 - I've seen every single episode of that show (in Japanese of course!) 月に変わって、おしおきよ! 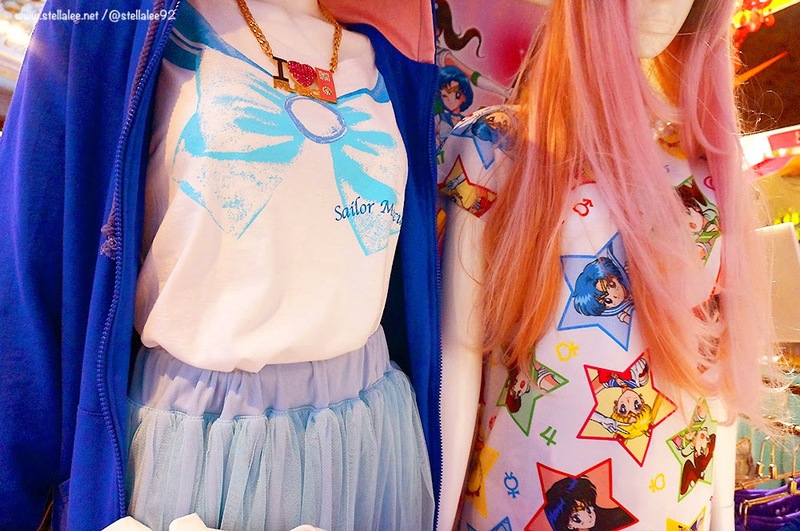 That's so cool that there is some cute Sailor Moon inspired outfits out there. I grew up watching Sailor Moon and always loved the Sailor Scouts. I wanna watch it too!! japan is no longer expensive as it used to be! 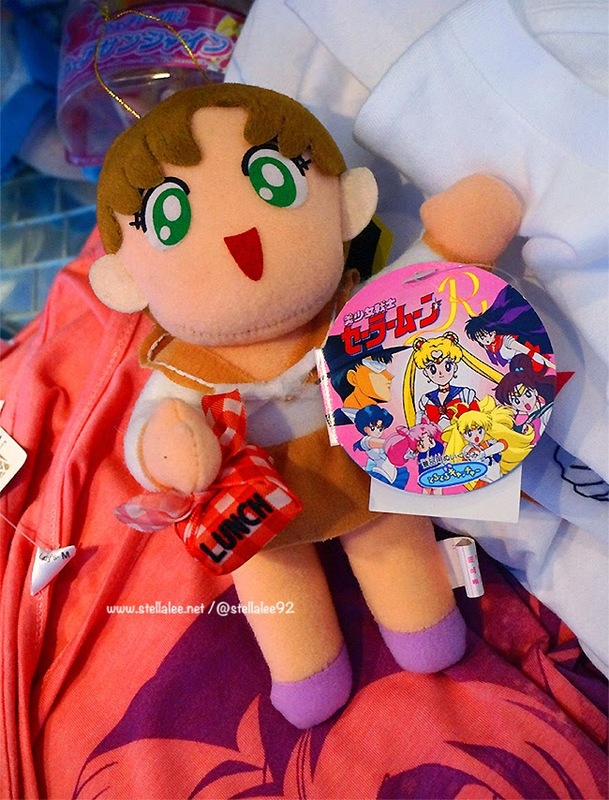 omg *____* I love Sailor Moon, I want all of these things!